Tim “got it done” in the spring of 2010 on his quest to harvest an Alaskan Brown Bear. Tim’s determination and perseverance during an exceptionally cold spring with harsh snow conditions paid off. Tim and his guide Charlie spotted tracks at first light one morning coming down from the higher elevation of a valley that were not there the night before. Wasting no time they were able to get ahead get and ambush this ten footer in the valley below. 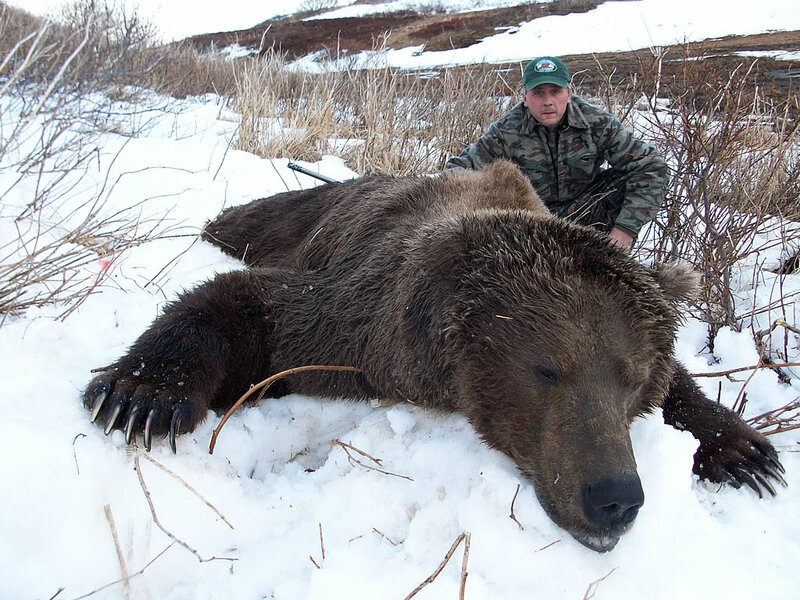 Tim’s bear was harvested out of one of our state land camps.